This is a paper I wrote for a History class I took recently. I welcome your comments of agreement or otherwise. Two indigenous systems of ethics and religion in China are Confucianism and Taoism. Relatively few people identify themselves as exclusively Taoist or Confucian, and there is considerable evidence to suggest that many members of the historic Confucian literati were also practitioners of Taoist arts. In the modern era, just as in the past, rather than professing a single doctrinal affiliation most Chinese people draw simultaneously from elements of all the teachings. One must study both Confucianism and Taoism to understand the general attitude of the Chinese people who lived before 1500 B.C.E. The origins of both religions began about the same time in history between 600 and 500 B.C. Confucius was born in a time of war and his father had been a soldier. He had grown up fatherless and poor, which probably propelled him into action towards establishing order in his world. In a political climate based on suspicion and distrust, he advocated trusting others and making yourself trustworthy. In a time of war, he was asking them to play fair, to be civil. 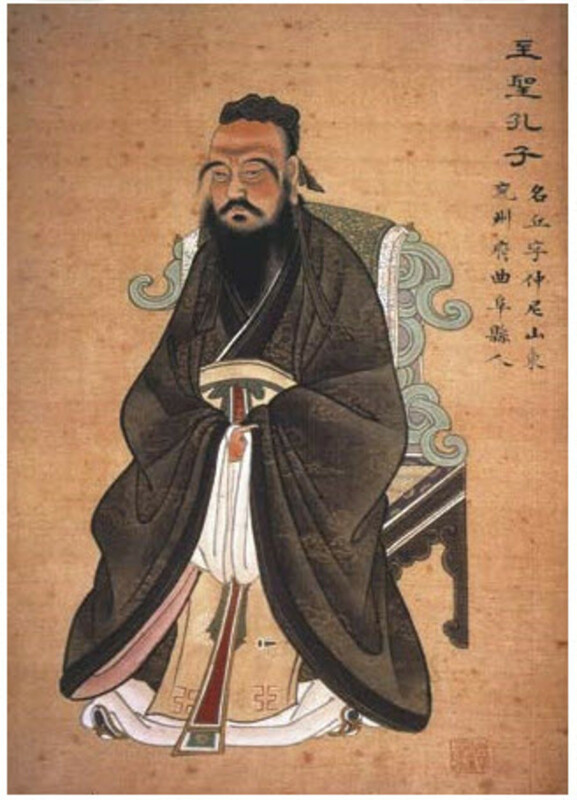 However, Confucius did not consider himself the author of what he taught but rather an heir and transmitter of ancient learning developed over the course of many centuries. 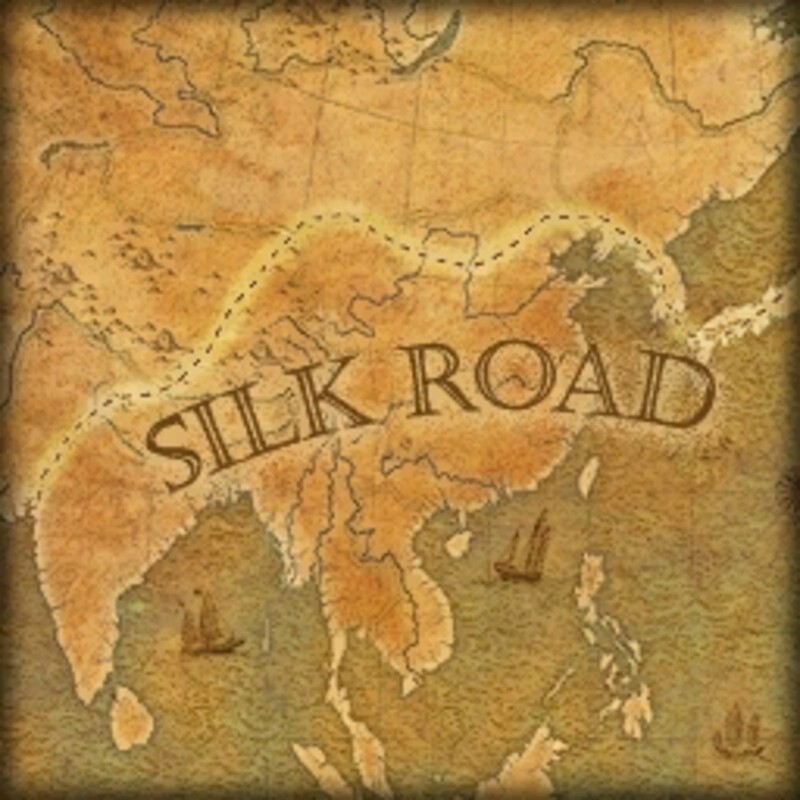 According to the worldview of Confucius, the culture he wanted to revitalize was epitomized in the enlightened reigns of several illustrious leaders of ancient times. The earliest thinker venerated in the Daoist religion, and the best known of all Daoist texts are known by the name of Laozi, which literally means “Old Master” or “Old Child.” We learn about the Daoist beliefs in The Tao Te Ching (The Classic of the Way and its Power , also known as the Lao-tzu ) together with other classic works of philosophical Taoism stress mysticism, the virtue of performing no action (wu-wei ) that is contrary to nature, and learning and following the mysterious, constantly changing pattern of the cosmos, the Tao. 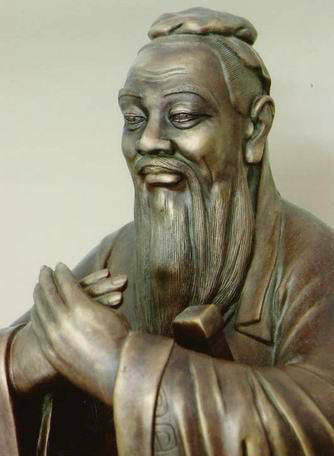 Although very different, Confucianism and Taoism have historically served as foils for each other, and are examples of yin-yang complements in Chinese religion: the image of the worldly Confucian is contrasted with the Taoist recluse seeing an escape from human concerns; and the Confucian observance of the rules of etiquette is set against the Taoist’s frequent flouting of social convention. Similar divisions were, and still are, often apparent within individuals, for example, a person could have exhibited Confucian values in their professional life, but express Taoist qualities when retired or relaxing with friends–particular modes of being are chosen when considered most appropriate.There is a generalized folk saying that every Chinese person is a Confucian, a Taoist, and a Buddhist. He is a Confucian when everything is going well; he is a Taoist when things are falling apart, and he is a Buddhist as he approaches death. Confucius believed that the conduct of the affairs of a nation would benefit from maximum participation in government by cultivated people whose intellects and emotions had been developed and matured by conscious culture. As an educator, he helped people study a variety of subjects such as history, political science, sociology, literature, music, etiquette, and philosophy to deepen the human understanding. This study he believed, could help people prepare themselves to take on deliberate social responsibility. Dao may be described as unfathomable and ineffable or represented by celestial powers, but it is always seen as lying at the root of creation yet manifest in all that exists on the mundane and visible plane. Dao is subtle and soft and essentially benevolent. Mediated through qi or cosmic, vital energy– also a key concept in Chinese medicine and general cosmology – Dao is essential and accessible to human beings in their everyday life. Aligning one self with Dao, creating harmony and a sense of participation in it, will bring out the best in people and create a state of overall goodness and well being – in cosmos, nature, society, and the human body. Unlike in Confucianism, this state of goodness is not primarily achieved through a moral effort. 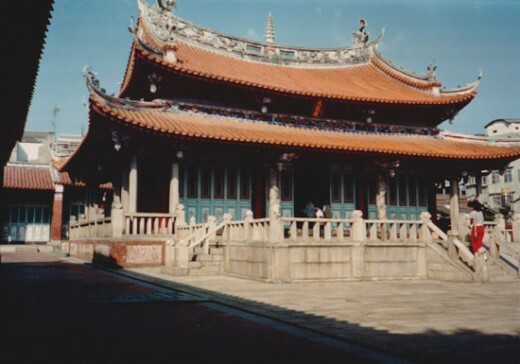 Daoism is a highly unique religious tradition with characteristics and practices clearly distinct from those of Confucianism. It has its own specific cosmology centered on Dao (the way) as the underlying power and constituting pattern of the universe. Confucians differ from Daoists, but the disagreement is not about whether or not to be socially active and whether or not to give in to personal greed and passions. Rather, the dividing issue is how to achieve social harmony and how to behave in society. They rely on cultivating the inherent goodness in people, their sense of rightness that comes forth through non action and naturalness, to create a harmonious world. In the theory of knowledge of Confucianism, the most important thing is to set up a moral model for human behaviors. Next to it is to build useful knowledge for human beings; that is to make a big event, to attain great achievement in the world and contribute to later generations. Then, next to it is to write books and leave their thoughts for the later generations as spiritual assets. These are the three major things. Daoist harmony with nature best resulted through humility and frugal living. According to this movement, political activity and learning were irrelevant to a good life, and general conditions in the world were of little importance. Both religions have lasted through the ages. The Chinese people have always called Confucius the “Sage of All Time,” because his thought is tied to the human being’s symbiosis, coexistence and co-evolution and, is not affected by time and spatial factors. Individuals did come to embrace some elements from both Daoism and Confucianism. Emperors usually favored Daoism because it posed little real political threat. The Chinese government from the Han dynasty on was able to persuade Daoist priests to include expressions of loyalty to the emperor in their temple services. This heightened Daoism’s political compatibility with Confucianism. The division in belief systems, between Confucianism and Daoism, modifies the perception of an ultimately tidy classical China. Confucianists and Daoists tolerated each other. Sometimes their beliefs coincided, so that an individual who behaved politically as a Confucianist might explore deeper mysteries through Daoist rituals. Tension in Chinese society showed in the way Confucian beliefs were combined with strict policing. The Chinese, in fact, early discovered the usefulness of alternating torture with benevolence, to make accused individuals confess. In conclusion, Confucianism and Daoism started approximately the same time, but have very different concepts and beliefs. However, individuals have acquired an affinity for some parts of one as well as the other, according to the circumstances. It is very beneficial to be aware of both the Confucianist and Taoist ideas and beliefs when trying to understand Chinese philosophy. Allinson, Robert E. Understanding The Chinese Mind. New York: Oxford University Press, 1991. Chiou-Hua Lin, Yuan-Kai Chi. Chinese Management Philosophy – Study on Confucius Thought. Journal of American Academy of Business, Cambridge. March 2007. Cleary, Thomas.The Essential Confucius. New York: Harper Collins Publishers, 1992. Dirlik, Arif, Confucius in the Borderlands: Global Capitalismand the Reinvention of Confucianism. Duke University Press, boundary 2, Vol. 22, No. 3. (Autumn, 1995). Kohn Livia. Daoism and Chinese Culture. Massachusetts, Three Pines Press, 2001. 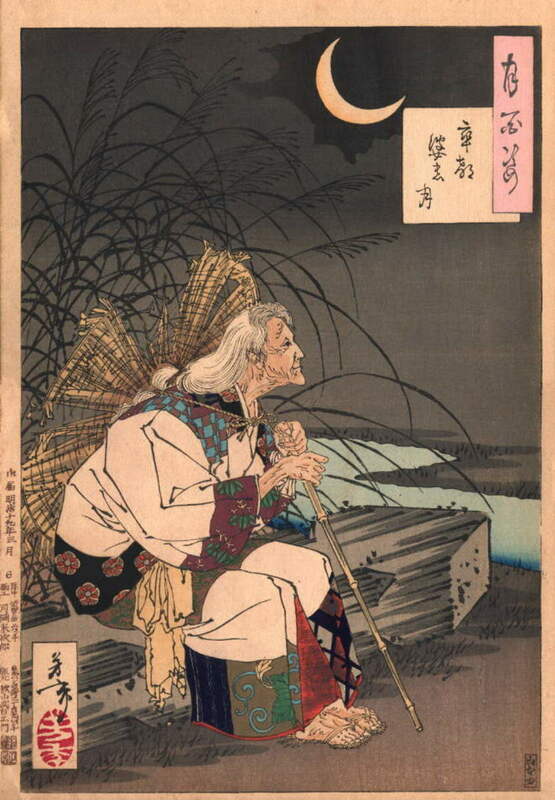 Oldstone-Moore, Jennifer, Taoism, New York, Oxford University Press, 2003. Stearns, Peter N. World History in Brief: Major Patterns of Change and Continuity, Vol. 1, 6th Edition. Pearson Education, Inc., 2007. Taves, Krista.The Wisdom of Confucius. Chinese American Forum: Jan 2007, Vol. 22 Issue 3, EBSCO. 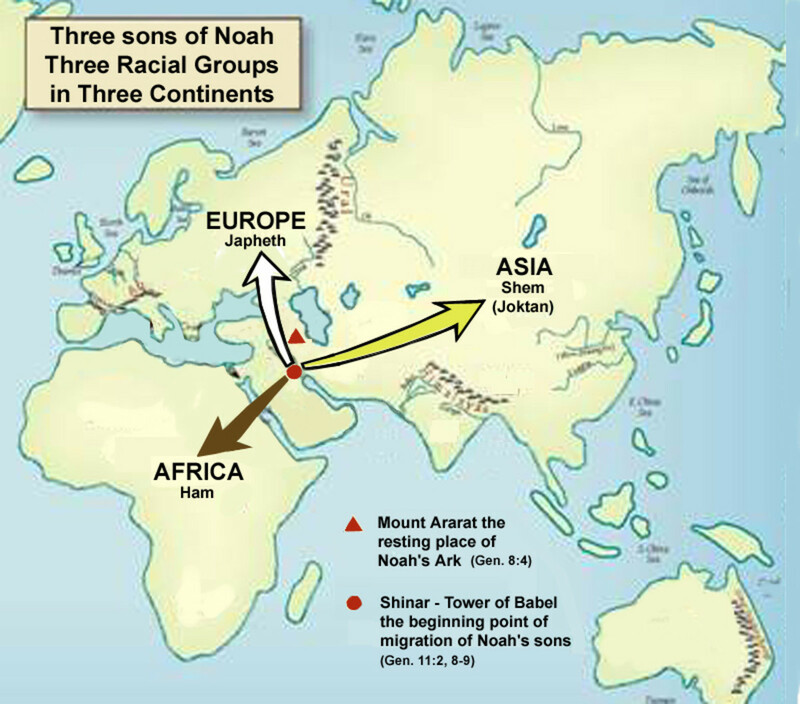 Are African-Americans the Descendants of Shem? Thank you siopek. My eyes have certainly been opened wider as I have traveled to different countries. I value the lessons I have learned from each experience. Thanks for your comments. I love the post. I know I haven't traveled to China but it's nice to read about such places. Enlightening to read about different cultures and belief systems. Great hub. Keep it up. Thanks LianaK. You are too kind. Thank you gramarye. I really appreciate your votes and comments. Hi, this is really well written and informative. Rated up, voted for and following you to read more. I appreciate that Hello, hello, - when you do it for a grade, it has to be good, so I am glad you think so. Thank you for sharing this paper. I knew the names but learn so much more from your hub. You have done a tremendous job. Thanks LianaK. I agree with you. There is so much good about other cultures and we can best understand them by learning all we can. Thanks. I love learning about new cultures and people. There are good and bad people in every culture, but it is wonderful to expand our mind and appreciate the good. Great hub. Thank you diogenes for sharing your views. I can understand your feelings about the animals. Traditions are very hard to change. @Mentalist acer - Glad that you enjoyed the hub. It does help us understand other cultures when we know about their religions and philosophies. @MartieCoester - We are ever searching for wisdom and truth. Few totally find it in this life, but they hold on to what seems the most correct for them. I agree with you. Thanks for commenting. @Aris Budianto - I believe there is much goodness in most religions and admire those that keep it that way. Thanks for your thoughts. Both religions have a lot of followers around the world, but the essence is Goodness, great hub. Comparing Chinese philosophy and religion with those of other cultures, I can not help but to realize once again that all of us humans desperately need total contentment. There are, in this world, too many ways to find it, yet most people never find it, because it is not concentrated in one specific ideology, but all around us. It is too much or too large to fit in the conscious mind of a human being - in a single ‘ism’ we can more or less understand and follow. Thank you so much for sharing this paper of yours with us. I appreciate this kind of hubs tremendously. Take care!